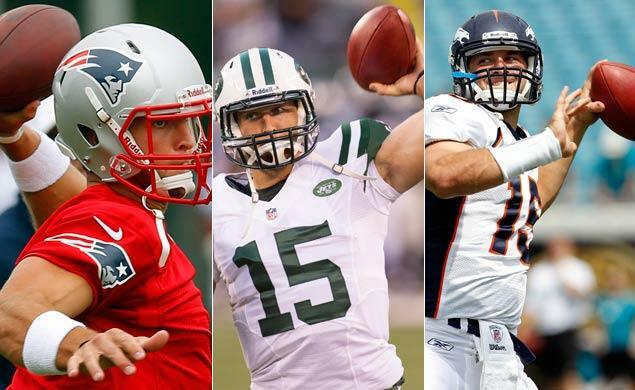 Could this be Tim Tebow’s future? in the Sunshine state and not have it go to the Golden Coast it needs a figure to rally around. Sorry Blaine Gabbert, when your compared to Mark Sanchez, it’s not exactly a flattering comparison. Tebow needs to go to Jacksonville. Not some rinky dink arena team or the CFL, which might be an option he should consider. Jacksonville needs butts in the seats, Tim Tebow puts Floridian butts in the seats. I’m not a mathematical wizard but that equation seems pretty simple to me. What do you guys think? Should the Jaguars bring back Tebow or should he remain in football limit? Comment and take the poll below. Are you kidding me? I’ve seen 12 year olds that throw the ball better! Can he make plays as a quarterback, sure, but let’s be honest this is a passing league. What’s the one thing Tebow can’t do? pass the ball!